Mediterrania is a luxurious neighborhood developed in 1997. 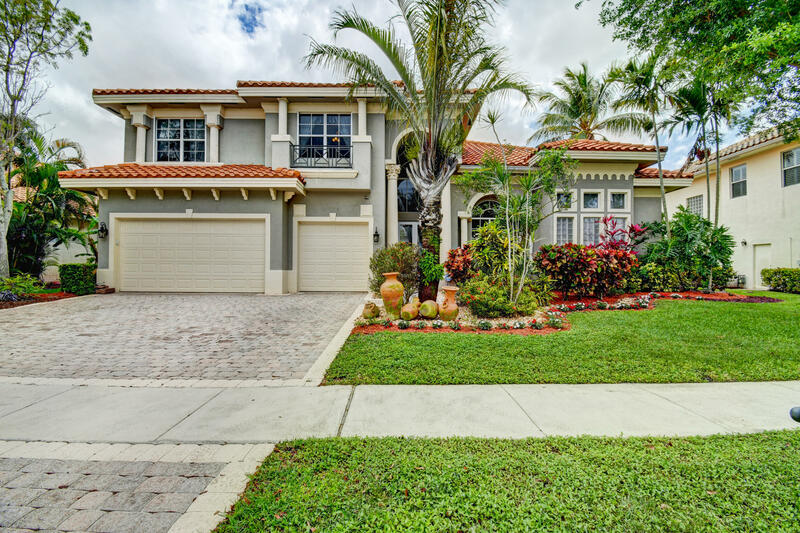 As you pass through the beautiful gated entrance, you will enter a community featuring 48 custom-built one and two-story homes with classic architectural features and Mediterranean charm. Many Mediterrania homes feature an elegant interior with a grand entrance, vaulted ceilings, chef's kitchen, luxurious master bathroom, French doors, and ornate marble floors. Large windows overlook a secluded backyard, tropical garden area, private swimming pool—and for many homes—a peaceful pond. The unique single-family homes have custom-made floor plans fit for any size of family. There are plenty of rooms in these luxurious homes that can be designed as a playroom, home office, or a guest room for vacationing family members. Residents of Mediterrania can enjoy access to nearby walking, jogging, biking paths and community tennis courts. Close to shopping, dinning and the beaches. Homes in Mediterrania range for the mid $600's, to just over $1 million. 5 BEDS | 4 BATHS | 3740 SQFT. 5 BEDS | 4 BATHS | 3948 SQFT.